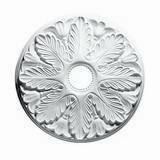 Collection of Quick Clips medallions. Various sizes and designs of the Quick Clip medallions that allow for fast installation with the patented installation system which locks medallion into place with a simple twist of the medallion. Quick Clip medallions do not require adhesive nor finding any studs. 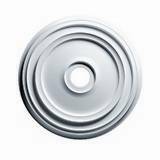 Easy-mount hardware is included with all Quick Clip medallions. 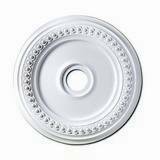 Ceiling Medallion Diameter: 17-7/8 in. 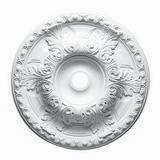 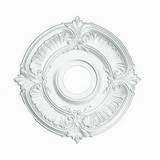 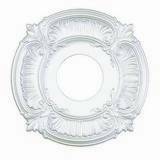 Ceiling Medallion Canopy: 4-3/8 in. 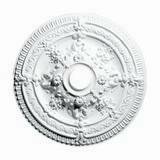 Ceiling Medallion Diameter: 18-5/8 in. 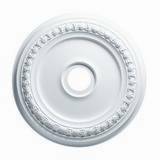 Ceiling Medallion Diameter: 19-1/8 in. 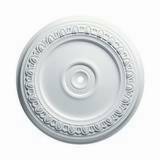 Ceiling Medallion Diameter: 24-7/16 in. 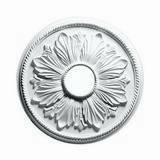 Ceiling Medallion Diameter: 25-7/8 in.